As a senior sports presenter Basil is the face of sport at Channel Seven Perth. After graduating from Murdoch University in 1993, Basil joined Channel 7 Perth as a final year cadet reporter. From there his list of credits include AFL reporter, Olympic and Commonwealth Games commentator and Seven news Sports Presenter. At the 2002 Salt Lake City Winter Olympic Games, Basil was behind the microphone for Steven Bradbury’s historic “last man standing” win in the 1000m Speed Skating – Australia’s first Winter Olympic gold medal. 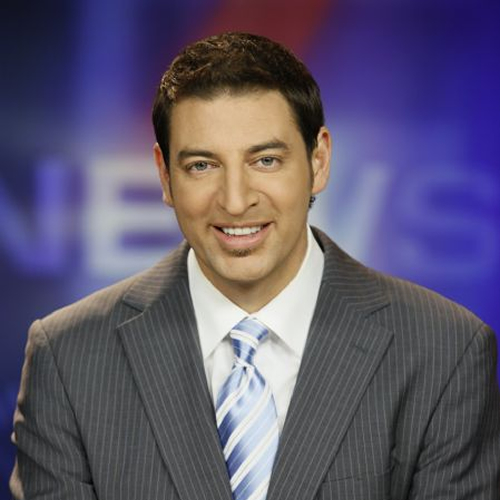 Apart from his sporting duties for Channel 7 he was also appointed co-host of the network’s national Weekend Sunrise program in 2018. At the 2004 Athens Olympics, Basil called Australia’s coxless pair of Drew Gin and James Tomkins across the line for gold in the Rowing, as well as The Opals silver medal in Basketball. He has since covered a total of six Olympic Games for Seven Network including Sydney, Beijing, London and Rio de Janeiro. Away from traditional sports presentation, Basil fronted ‘Basil’s Footy Show’ – a live football/variety program and also Seven Perth’s ‘Perth at Five’ – an afternoon chat and interview program. Basil is also the main anchor for Channel Seven’s annual 26 hour ‘Telethon’ broadcast. In 2012, Basil joined the Seven Network AFL broadcast team as a match day caller. Basil has also worked in both AM and FM breakfast radio. He was part of the three person team, Lisa, Baz & Sam, who hosted 92.9fm’s breakfast program for several years before moving to Radio 6PR where he currently co-hosts the Breakfast program with Steve Mills.. Basil is also one of Perth’s best known and most in demand masters of ceremonies who has hosted many of Perth’s biggest and most prestigious corporate and charity functions such as the Ronald McDonald Charity Ball, the WAIS Athlete of the Year, the ALCOA Australia Staff Awards, Western Australian Sports Star of the Year Awards, West Coast Eagles Club Champion Dinner, Harvey Norman Corporate Awards, Gold Plate Awards, plus many others. Basil is also a much sought after speaker whose presentation, which includes his coverage of Steven Bradbury’s spectacular “last man standing” win at 2002 Salt Lake City Winter Olympic Games. It is the drama, humour and inspiration of that astounding performance by Bradbury, and Basil’s involvement in it, that forms a significant part of his uplifting and entertaining presentation. It is a story that has to be heard to be believed. Basil’s presentation is completed with anecdotes he’s assembled from over 20 years as an AFL reporter, presenter and commentator.